On the plateau of Omalos, in the middle of Kefalonia, are located about five settlements, smaller and older, which were on Kapodistrian division of administration of the Greek, the community of Omalos. The headquarters of the community, Valsamata, is the largest village in the area, with more than 800 residents, according to the 2011 census. It is located on the outskirts of Enos, the highest mountain of Kefalonia. Essentially, Valsamata come from the combination with the Frangkata, the next village, with which were joined not only administrative but also spatially, in recent years. Valsamata is very close to the Monastery of St. Gerasimos, the largest monastery in Kefalonia, who created himself the patron saint of the island. 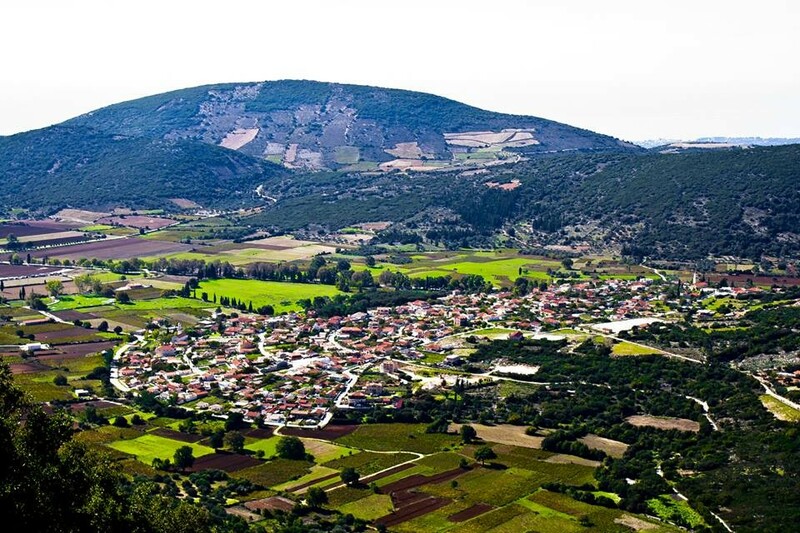 In this area, there are facilities of the cooperative Robola, the famous wine of Kefalonia. Every August, in the square of Frangkata in Valsamata takes place the great celebration of Robola, festival with plenty of wine and revelry until morning! The village is surrounded by mountains, the majestic Enos dominates in the landscape, but also the vineyards of Robola give a distinct color.